In January 2012, millions participated in the now-infamous “Internet blackout” against the Stop Online Piracy Act, protesting the power it would have given intellectual property holders over the Internet. However, while SOPA’s withdrawal was heralded as a victory for an open Internet, a small group of corporations, tacitly backed by the US and other governments, have implemented much of SOPA via a series of secret, handshake agreements. 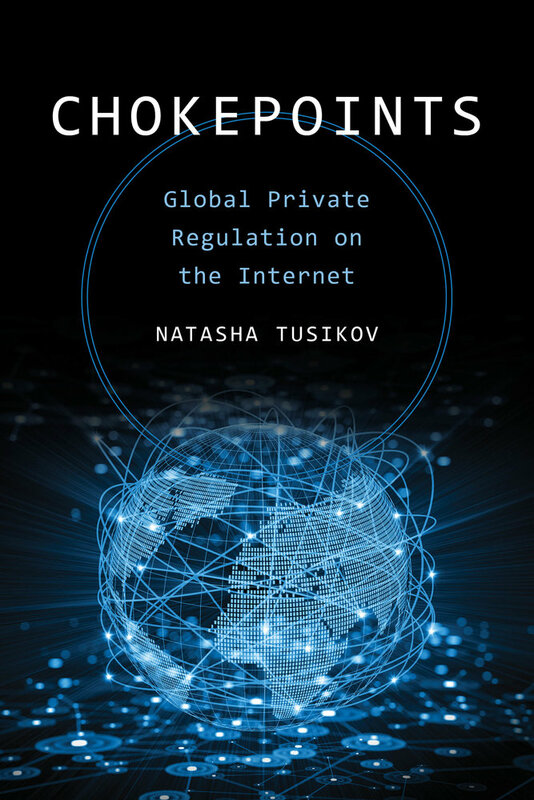 Drawing on extensive interviews, Natasha Tusikov details the emergence of a global regime in which large Internet firms act as regulators for powerful intellectual property owners, challenging fundamental notions of democratic accountability. Natasha Tusikov is a visiting fellow with the School of Regulation and Global Governance (RegNet) at the Australian National University, and a former strategic criminal intelligence analyst with the Royal Canadian Mounted Police in Ottawa, Canada. She holds a PhD in sociology from the Australian National University.